This is it! 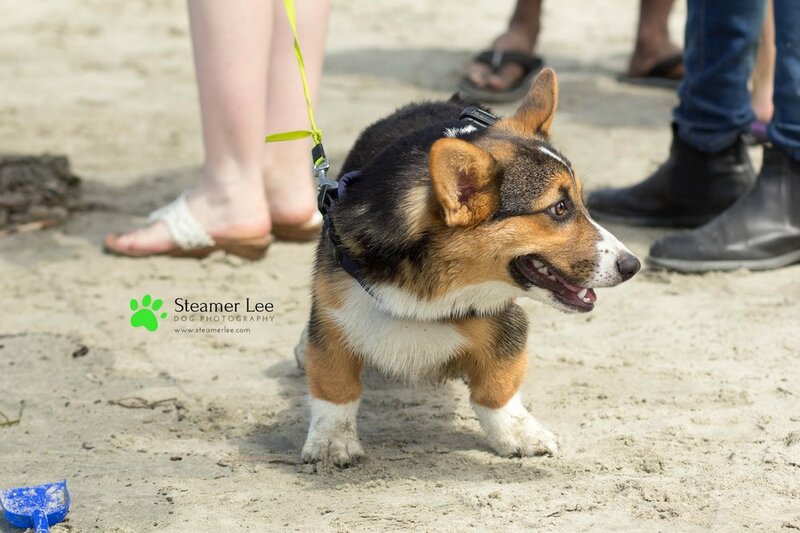 The final collection of Corgi photographs from So Cal Corgi Beach Day on July 1st, 2017. Barley and Bubbles were modeling ALL day for their country. I had to wait in line for hours (in dog time), to get photos of these two (they ran out of FastPasses by noon). Ready for another VIP? 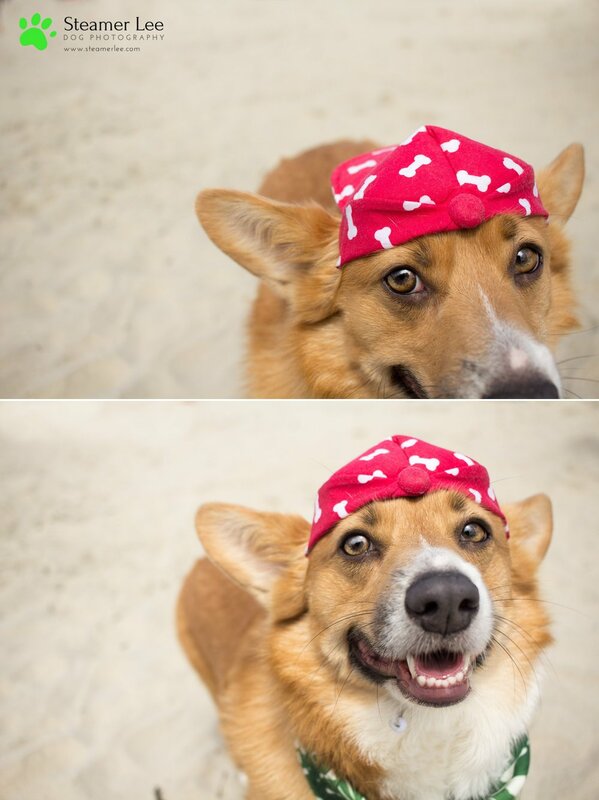 How about this Corgi named Kobe, 5-time NBA champion, sporting some Doggles. I know I know, they look like big stuffed animals that you would win at the county fair, but no! They are 100% real. I met them in-person and they are just as real and alive as any other Corgis there. Now back to puppy-sized Corgis. The next two Corgis are brothers, Dallas and Jax, "two low riding brothers." Dallas is the Corgi puppy, and Jax is the beautiful dachshund, and honorable Corgi for the day. This photograph above, of the two brothers together, is one of my favorites. I know what you're thinking! Maybe part of the fur on his ear could've been dyed with some special dog shampoo? Nope. I asked his owners the same question, and they said it's completely natural. Oh, and his bark! I love this photograph above because everytime I look at it I can hear the barking sound in my ears. One more Corgi mix, with another beautiful tail. I try my best to remember all the names of the dogs I meet, but I can't remember this one. (If you know, please let me know). "Look deep into my eyes...."
And now! 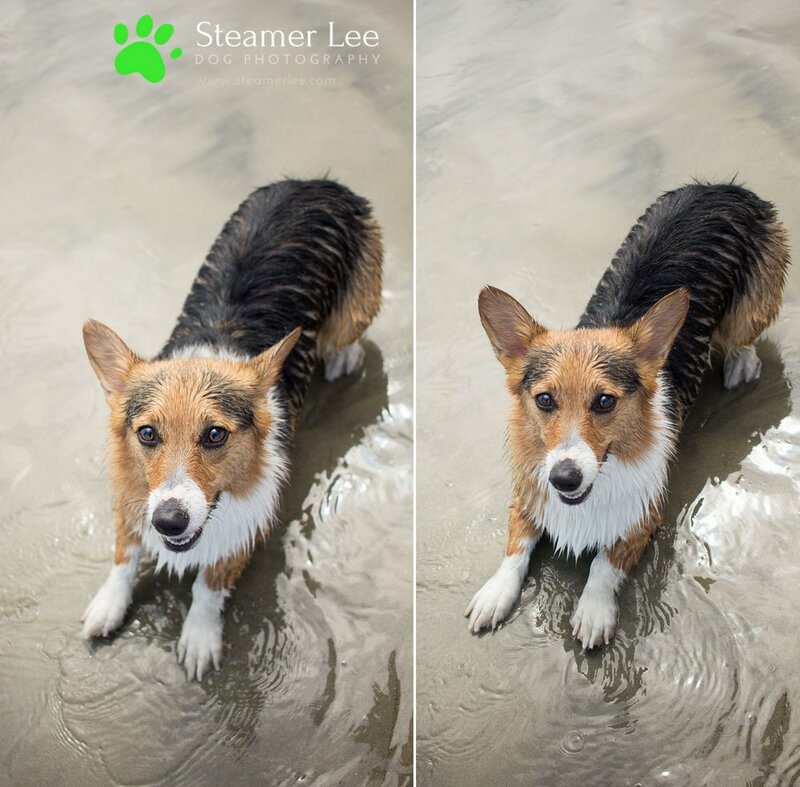 More photos of Corgi's on the shore and in the water! Ready to run into the water? 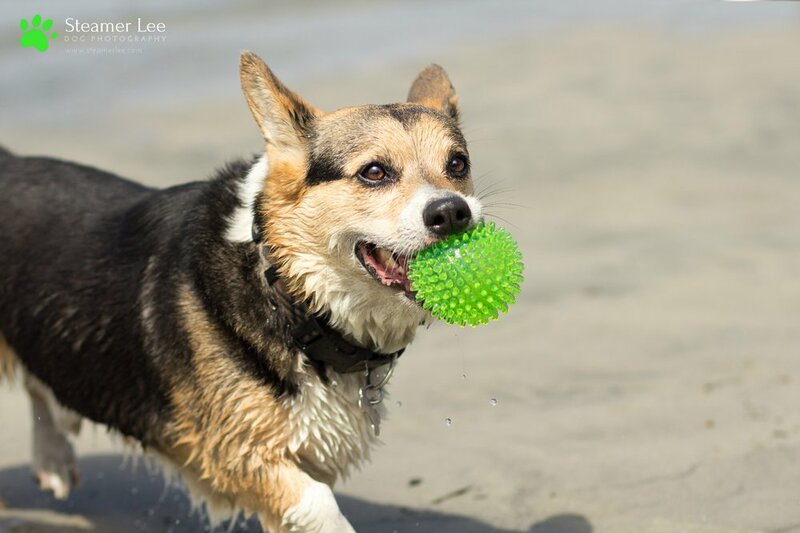 This is what Corgi's Beach Day is all about! 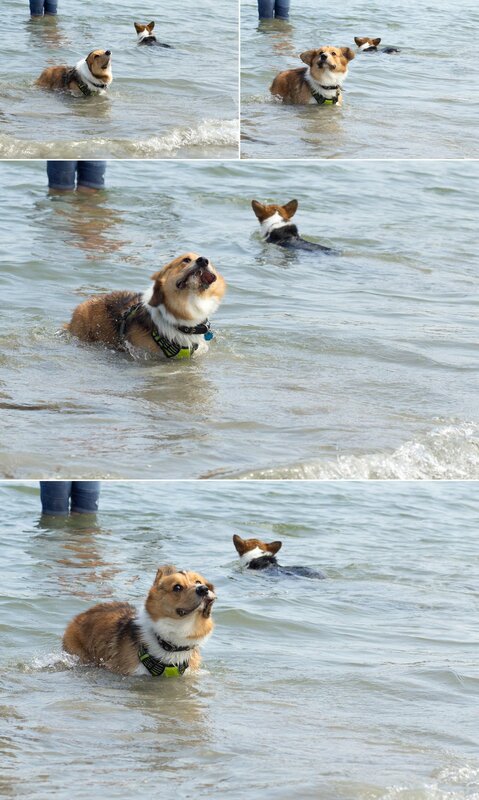 Dogs + Beach = Heaven on Earth. 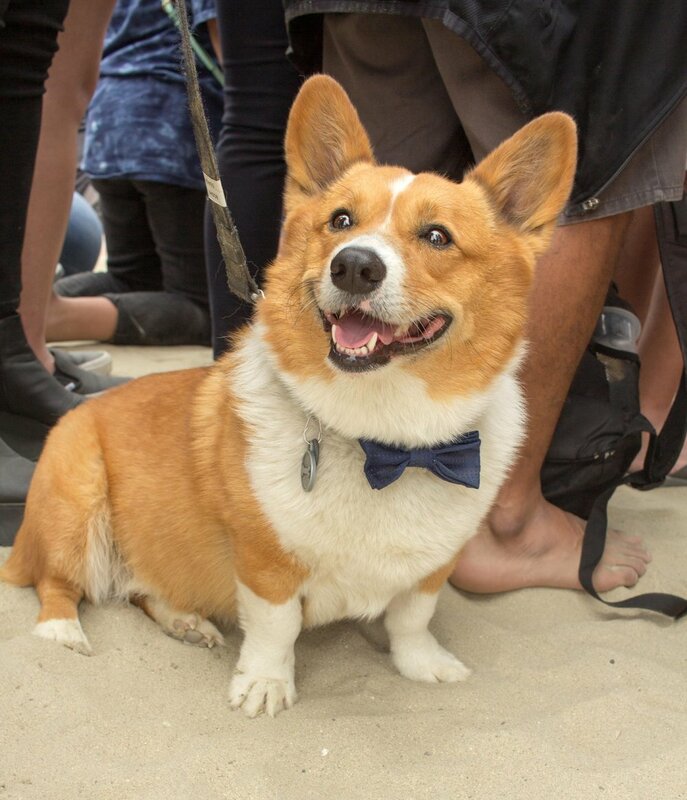 And here we come to the tail end of our So Cal Corgi Beach Day coverage. Thank you so much for hanging in here with me. I hope I was able to share with you the joy I experienced this fun day. I almost didn't get to make it. I found out about this meetup less than week before it was happening. Our sweet little Maya's been recovering from surgery so we've been staying home and monitoring her recovery process. But fortunately she turned a corner very quickly and is now her usual energetic, vocal, adorable self. I had such a great time meeting so many wonderful people. I can't believe some of you came out from New Orleans, Alaska, Utah, Nevada, and Arizona. There's something special about the dog community when you can instantly talk to another dog owner and just talk about what it's like to have a dog, and their silly and distinct personalities and antics. I've never photographed a Corgi below, so this was a very special opportunity for me to add to my dog photography portfolio. 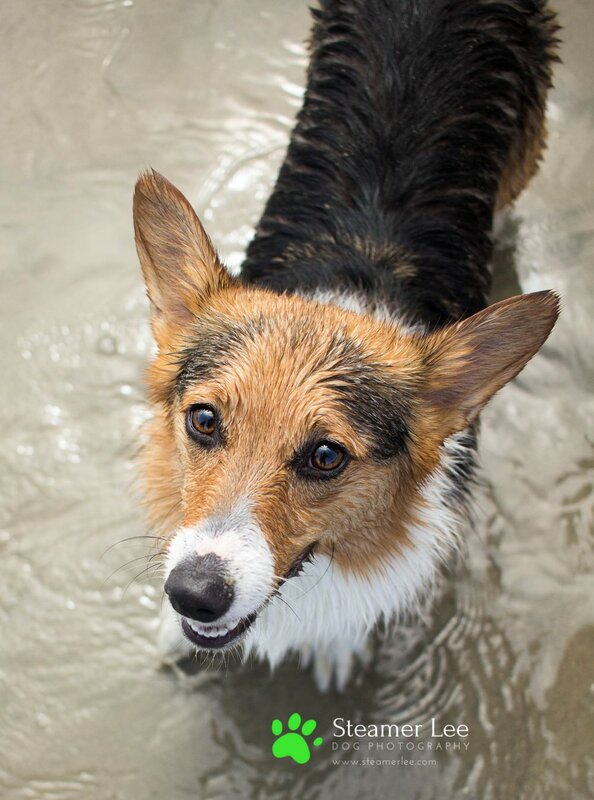 For someone who is a non-Corgi owner, it's easy for me to say that they all "look alike." 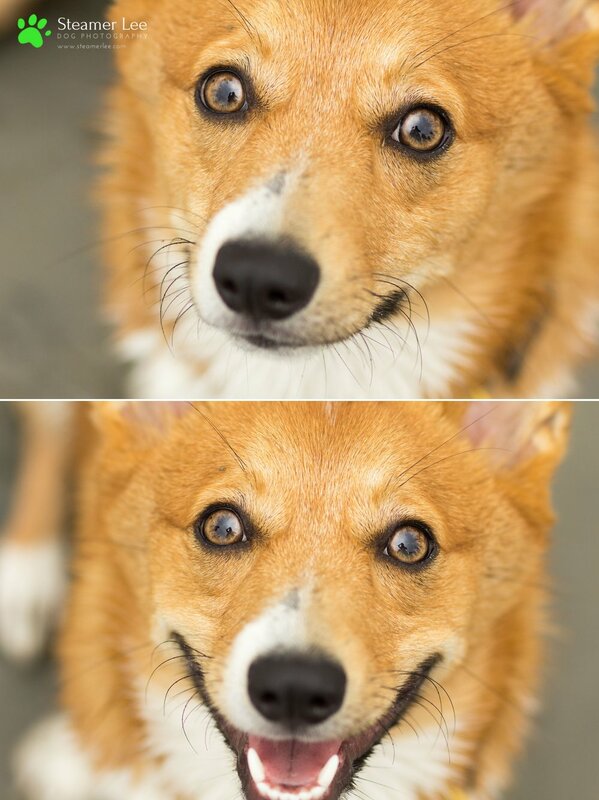 But as one Corgi owner told me, you do get to start seeing their different personalities. And that's what I find so fascinating about dogs, and other animals. They each have their own unique personality, tendencies, likes and dislikes. If you recognize any of these Corgis as yours, please get in touch. Dogs are families, and I love helping families see beautiful, wonderful, silly, and playful photographs of their furry children. Especially as large pieces of artworks to live in their homes. I love seeing our large 24x36 of Maya living in our living room, and everyday it makes me appreciate her presence, her health, and her adorable ears.